You decided that you want to ditch your 9-5 job and finally do what you’ve been dreaming about fo’ evah! – make a living as a writer. But, you’re just not sure if you’re doing this right since you haven’t landed any decent gigs. Why not? Where are all the highly profitable writing jobs you keep hearing about? How come you can’t find them? Well, I’ve been a freelance writer for over two years now, and if there’s one thing I know is to really make it as a freelance writer you need a high-paying niche. Because, if you have a high-paying niche under your belt, you will have no problems securing consistent and lucrative work. When I started my freelance writing biz, I had no idea what to charge for my writing service. My background was Psychology and – at that time – being a first-time mom. But, I didn’t pull this number out from thin air. During this time I also thought about my niche and decided to write in the parenting niche and natural health niche. The jobs in those niches often quoted $.04/word. See, at the time I didn’t know that the parenting and health niche were overly saturated. This meant that it was easy for businesses to find writers to write about being a parent or write about healthy tips. Now, this doesn’t mean you can’t find a lucrative gig in these niches – I did. It just means that if you want to make sure you aren’t writing for pennies, you need to find your profitable writing niche. When trying to find your profitable niche, the first thing I recommend is to look at your experience and passion. What is your experience or background that you can use to write about? You can look at your past jobs and your degree. Next, you want to look at your passions. What do you enjoy to write about and what are you knowledge about that could help you with your freelance writing? For example, are you up-to-date with pop culture or entertainment? Course student Kate Muller uses her passion for media to write on Time Warner Cable’s blog. Finally, you want to think about what kind of writer do you want to be. For example, you can be a blogger or a copywriter. With all this information, you can create a table and list your items. For example, in my Write Your Way to Your First $1k course, I give my students a Niche Worksheet full of tips, a table, and a mind map to help them discover their profitable niche. After filling the table, you can mix and match and see what niche is created (Finance Marketing Ghost writer). Of course, not all mix and matches will make sense, but it’s a fun activity to start thinking about honing your niche. What good is your niche if there is no market for it? 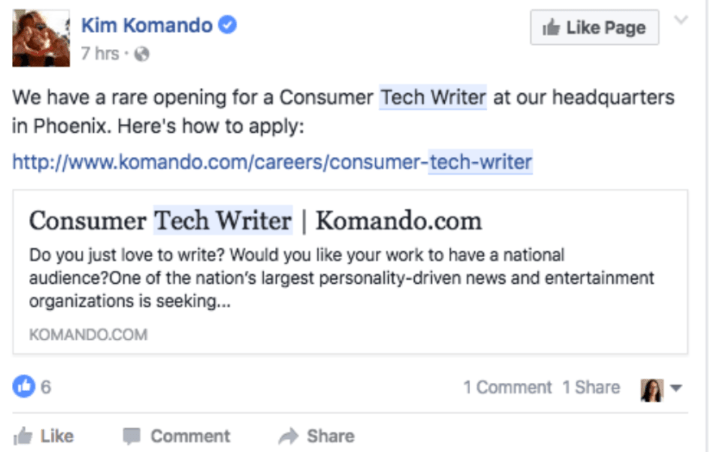 The next thing you want to do is find out if there are any content jobs out there. And the best way to find out is to look on job boards. 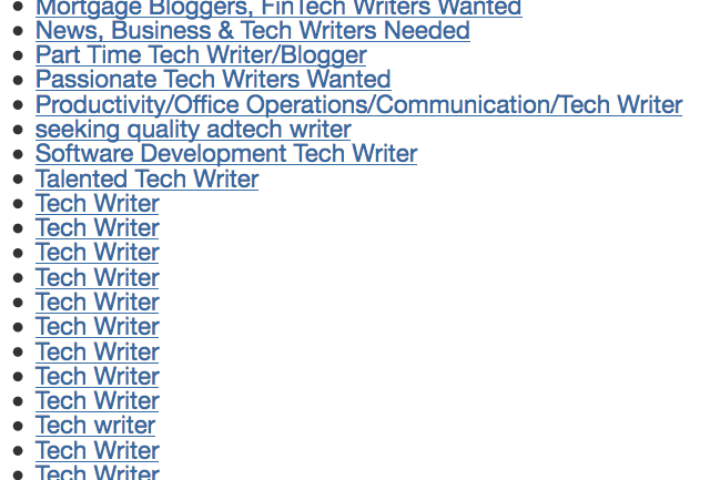 For example, I searched for tech writer in ProBlogger’s job board. From the results, it looks like there is a need for writers that know the tech side of things. Next you want to dig deep into each of those job ads and see if they list a quote. From my quick research, many don’t, but some do. Those that list a rate, quoted a low rate ($20 per post), but I did notice a few profitable ones ($200-300 a post). So, it looks like there is definite room to raise your rate in this niche to attract top tier tech clients. Of course, job boards aren’t the only places to find a freelance writing gig. You also have to look on social media like Facebook groups or LinkedIn Jobs. 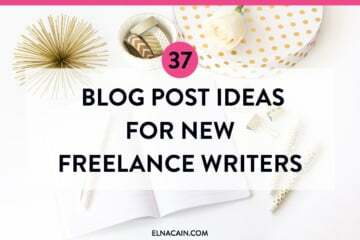 If you’re new to freelance writing, you may not have samples yet of your writing. And the best way to grab samples is to guest post on sites in your niche. This shows prospects that other bloggers liked your writing enough to post it on their blog. This social proof can really increase the, “I like this writer so I’ll hire her” thinking in your prospect’s mind. Now that you have a niche that’s profitable, it’s best to become an expert in that niche. Start reading about your niche and follow influencers in that industry. By being in tune with your niche and writing about it on a daily basis, you will become an expert over time. That’s it! Four steps to finding your profitable niche. You know, there’s another easy way to find a profitable niche. Pick a profitable niche! You are guaranteed that it’s well-paying and you can make a living by writing in that niche. But, don’t you need experience? Many of these niches you can learn on the job. That’s what I did with digital marketing. 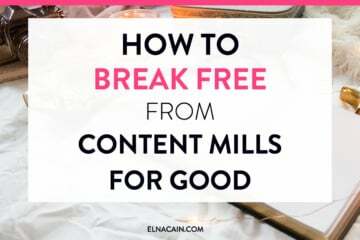 I read as much as I could about this industry, guest posted and landed clients in this niche and eventually dabbled in digital marketing when I launched my course. So there ya go! I’ve found that these specific five are high-paying niches. My course also mentions seven more lucrative writing niches and helps you find a profitable niche with the niche you already have. Now is the time to say farewell to that 9-5 job you hate. Over to you – what’s your freelance writing niche and is it paying your bills? I write about digital marketing strategies for clients. So, for example, I may write a post about how to use Pinterest as a business owner or how to repurpose content when you are short on time for entrepreneurs. My content is B2B. I learned by reading and writing about it. Then I started DOING digital marketing by creating courses and sales page and email marketing! I read a lot of Neil Patel’s content too! I may need your advice. 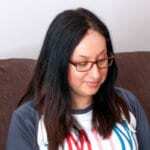 I started a personal development blog recently and; delving into freelance writing, I am not quite sure if there is a paying market for a personal development/ motivational writer. Is there a paying niche similar to personal development/ motivation you think I can venture into? Or, would I rather specialise by service instead? Thanks in anticipation of your advice! I had a client in the personal development niche but that client closed the blog after a year. So I’m not sure if it’s really that profitable. I think if you find the right client or company it can be! Thank you very much for this useful post. Currently I am researching white papers but I am interested in the 5 niches above you mentioned. Could you give me some sites where I can research about them? This is very inspiring. The problem is I worked all my life as a IT help desk agent, Authorisations Agent for a bank, and as a receptionist and basic admin. I really do not believe that I have a special niche like being a lawyer, doctor etc. I am also physically disabled with artificial legs. All I do is talk and type when working. You can freelance write without any previous experience. It’s possible. I was a teacher and helped children with special needs. I’m also a mother. My writing niche is digital marketing! I LEARNED this niche while freelance writing. Now I’m an expert digital marketer writer. It takes time and skill, but it is possible! Good luck! Thank you for providing such a creative idea of Experience + Passion combination for bringing out the perfect freelance writing niche. SUCH a good post! It is hard to niche down into not only what you love, but something profitable. I am a nurse, so obviously, I specialize in the health side of writing. Though, I HATE medical writing, like case studies/white papers ugh. So boring to me. I work in labor and delivery which is VERY interesting to me. I love womens health,newborn health etc. I also love helping nurses. Now, I have clients from Baton Rouge parent magazine, a client whose focus is nurse bullying, a company who specializes in menstrual cycle products and womens health, and a newborn product line company. It’s crazy the types of work you get when you think outside the box! That’s awesome. That’s what’s so fun about your niche. You can look outside and find a lot of topics that are next to your niche like you have! That’s great you found writing you’re interested in doing. Thanks for a great post! Curious what sub niches within digital marketing are profitable? Email marketing is the more profitable within digital marketing. You can make hundreds of dollars writing an email for a business. Hi Elna. Do you mean working as an email marketer or blogging about email marketing? I mean writing emails for companies. That’s an email marketer writer. Wishing you all the best on your 6-week challenge! 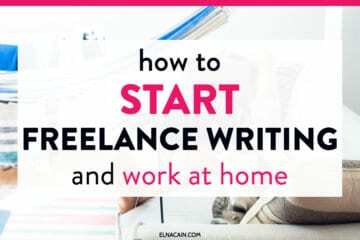 Yeah, WP can be a good niche for freelance writers! Thanks so much! This is my first visit here and I must say you have a really clean design and its easy to read. Secondly I came through your post on another site and the post was really informative, so i wanted to check further. How ever its always been every one fears to quit their day time job and be a writer. Being a penetration tester, I found very few blogs in this niche, but still you put every thing together in a really nice way. Have you ever thought of being writer in a penetration or sysadmin niche ? Thanks for stopping by! I’m glad you liked my design and layout. My husband my web developer 🙂 Have fun exploring! This is so great! I’ve been thinking about getting into doing some freelance writing. Thanks so much for sharing this. You’re welcome. So happy you found some inspiration in this post. Good luck finding a profitable niche. You must be reading my mind or something. This is awesome! For about a week now, i’ve been racking my head about picking one profitable niche to start with as a newbie but no concrete decision so far. So you can imagine my surprise when i saw your post just now. And as usual, you broke it down in a way that is so simple to understand and act on. Thanks Elna, you are the best! You’ve really given me a lot to work with. Can you believe that i’ve been curious about WordPress and Marketing but didn’t really do anything about it before now? That’s great! I love when that happens. You read a post and you’re like, I was just thinking about the very same thing! I’m happy to know that you like how I broke it down. For some reason, a lot of aspiring writers have a hard time finding a niche, let alone a profitable niche! Good luck on finding WP and Marketing clients! Check http://wordcandy.co/ for WP work!